Newly professionally remodeled. 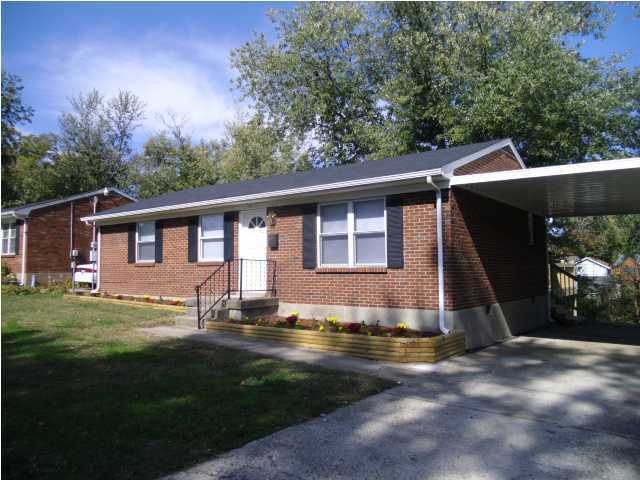 4 bedrooms, 2 full baths, mostly brick home with deck and carport. The spacious master bedroom has its own private full bath. Be the first to move in after this spectacular remodeling. New roof, new gutters, new deck, new bathroom fixtures (new tubs, new toilets, new vanities, new faucets, by licensed plumber), electric has been upgraded (including new panel, new breaker box, new GFI's, by licensed electrician), new light fixtures, new carpet, new paint, and more. Replacement windows. Recently installed central air unit. This is NOT A SHORT SALE and not a foreclosure. Local seller can make fast decisions. The seller is a professional remodelor and can work with the buyer on additional customization of the home if buyer so desires. Leemont Acres is a subdivision within the city of Louisville, Kentucky. There are currently 0 Homes for Sale within Leemont Acres, with asking prices ranging from $0 to $0. The average list price per square foot of the available inventory in Leemont Acres is $0, which is the Louisville average of $157. The Average Sales price of all sold real estate in this subdivision for the past year is $121,088. Recent comparable homes have been selling for 98.53% of their asking price. Waterfront homes represent of the available Leemont Acres inventory. The population of Louisville, according to the 2010 Census, is 597,337. The total number of households in the zip code of Leemont Acres is 14,240, with an average household size for of 2.61 people. The total number of renter households within the zip code of 40272 is 3,311, which means that 76.75% of households in this zipcode are owner occupant households. 5403 Anatahan Ct, Louisville KY 40272 is a Home, with 4 bedrooms which is recently sold, it has 1,330 sqft, < 1/4 ACRE sized lot, and 1 Car Carport parking. A comparable Other, has bedrooms and 0 baths, it was built in and is located at and for sale by its owner at $ 0. This home is located in the city of , in zip code , this County Other, it is in the Subdivision, and Pleasant View are nearby neighborhoods.